Intro to DIY synthesis – Getting started making your own nosie creations. Analog guide – Learn about how the analog portions of the Rad-Fi kits work and design your own oscillators. Arduino guide – Info on the digital part of the circuits and how to hack them. The extra analog chips in the pre-order bundle include a 4040, 4051, 4070, and 4069. 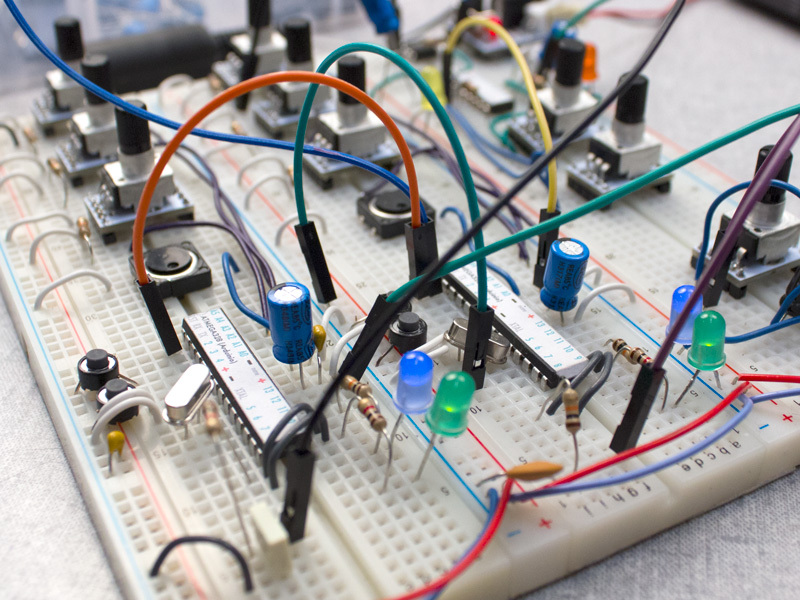 Hackaday’s logic noise series has some great tutorials on how to use these, as does our analog guide.